This is the second and last of two contests on the theme of non-traditional families. Since 1872, Philadelphia cream cheese has, it believes, nurtured these “work-in-progress families” that strive for their values every day. The ideal creaminess of Philadelphia cream cheese brings care to everything we build together. Can you help Philadelphia nurture these “under-construction” families that constantly do their best every day to build their values? 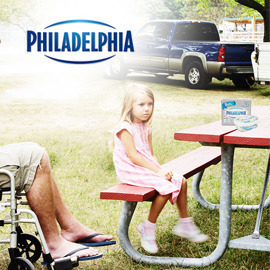 Despite the challenges that life throws at them, show us how Philadelphia cream cheese helps build non-traditional families that stay together! Create a poster that includes a visual depicting the family in a situation or moment of your choice and a tagline. Check the brief while eating Philadelphia! Send us your entries by August 12th and win up to €3.000!